Ceremonial keys are as unique as ceremonial accessories can be, owing to the fact that they are one of the few award tokens that have an entire special ceremony named and held after them. 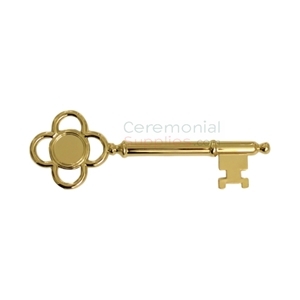 Ceremonial keys are often awarded to eminent luminaries in ceremonies to commemorate certain benevolent actions of the honoree towards the institution or community presenting the award. 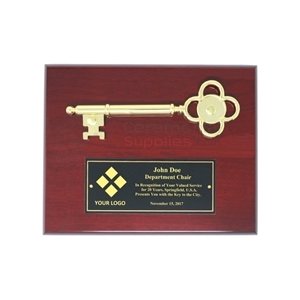 A prime example of the above is when certain states or cities choose to present the honoree with a Key to the City. The provision of a Key to the City is an acknowledgement of the bona fide work the honoree has done for the city, thus making an irrefutable contribution to the society. The presentment of the ceremonial key is a way of the community showing their gratitude. The award lets the honorees know that they are always welcome and the community will always have a special place for them. It is a ceremony popularly held to honor politicians, celebrities and individuals who perform heroic acts for the city. What Makes the Perfect Ceremonial Key? A key awarding ceremony has an extremely vast scope, and at its center is the ceremonial key; it is imperative that the ceremonial key being awarded is of a quality that appropriately honors the feats of the individual being celebrated. 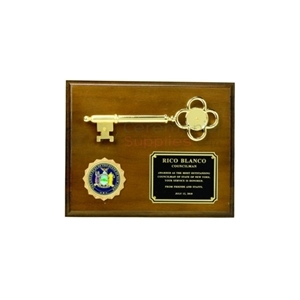 Most Keys to the City are merely for symbolic purposes and are awarded as a type of trophy, thus they are available in larger than average sizes that could be anywhere between five and a half inches and 10 inches (or even greater). Owing to the same, most ceremonial keys adopt a classic skeleton key shape with an ornate design. The design is that of a simplified key, and depending on the style chosen, the ceremonial key could either be made entirely of metal, be pewter cast with metal plating, be crystal made, or machined out of stone. 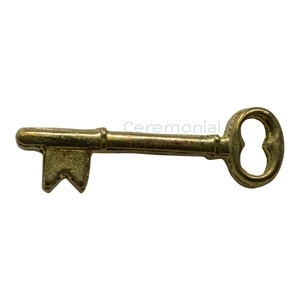 Further variance can be found in the finish of the ceremonial key. Metallic keys could opt for either a glossy or a brushed finish in addition to inlaid stones; stone keys opt for a polished look, or a deliberate coarsely smooth texture. The key could either be awarded as it is, or the key could be fitted in, or inlaid in a plaque that may or may not be framed. In case of a plaque-like design, it is observed that the most common base types are the ones finished of high quality wood and glass. 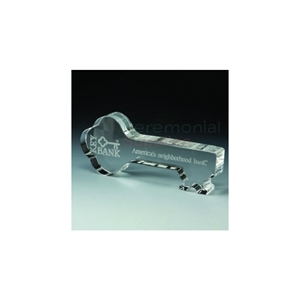 Most Keys to the City also opt for laser-etched engravings upon them, with the writing and/or pictorial representations aiming to perfectly capture the purpose and the achievements for the award. The perfect Key to the City is the one which most ably represents your city and the gratitude towards the honoree for having a special impact on the community. With the doors opened by the scope of such an opportunity, it is essential to choose the most suitable ceremonial key. CeremonialSupplies.com strives to fulfil its role by providing praise-worthy Key to the City in an incomparably simplified shopping framework to ensure you pick an award key that does both your institution and your honoree utmost justice.